Living in a dorm situation always proves to be an interesting experience that often forces one to be creative. From organization and storage to cleaning and cooking, you definitely learn to maximize your resources. While I was spoiled with a full kitchen in the college dorms, the employee dorms where I’m currently located are much more rustic. Supplied with only a microwave, eating healthy has never been more difficult. 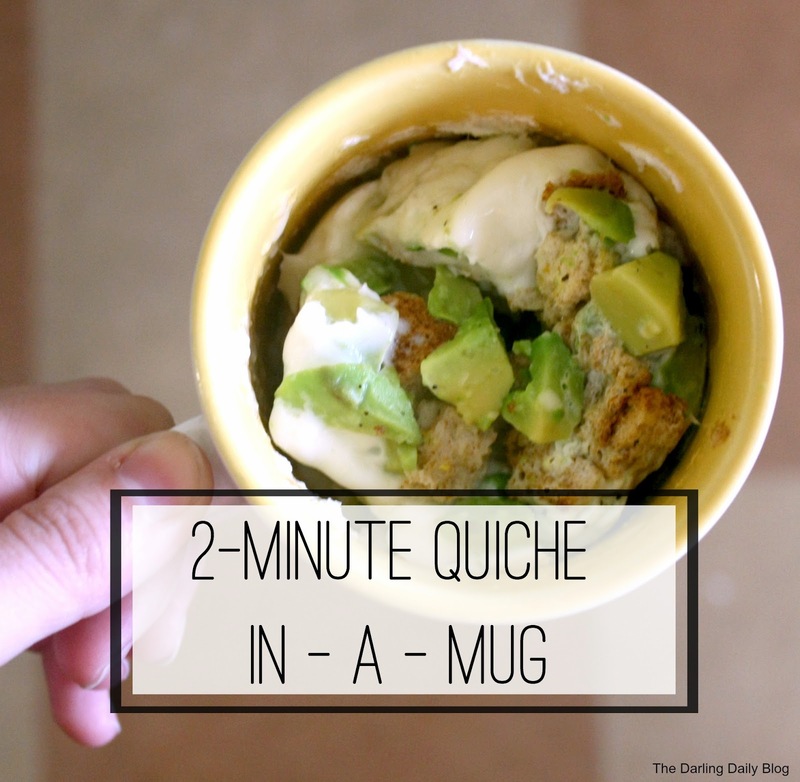 Thankfully, I’m all for experimenting and and have made a few different versions of this 2-minute microwave quiche in a mug. Whether you’re staying in a college dorm or hostel, or just need something in a pinch, this recipe is for you! Other mix ins such as cherry tomatoes, avocado, zucchini, peppers, etc. 1. Fill the mug 1/4 full with the egg beaters. 2. Stir in a tablespoon of milk and add a little bit of salt and pepper. 3. Tear bread into small pieces. 4. Add in bread, cheese, and and mix ins. Stir. 5. Place in microwave for 1.5-2 minutes. 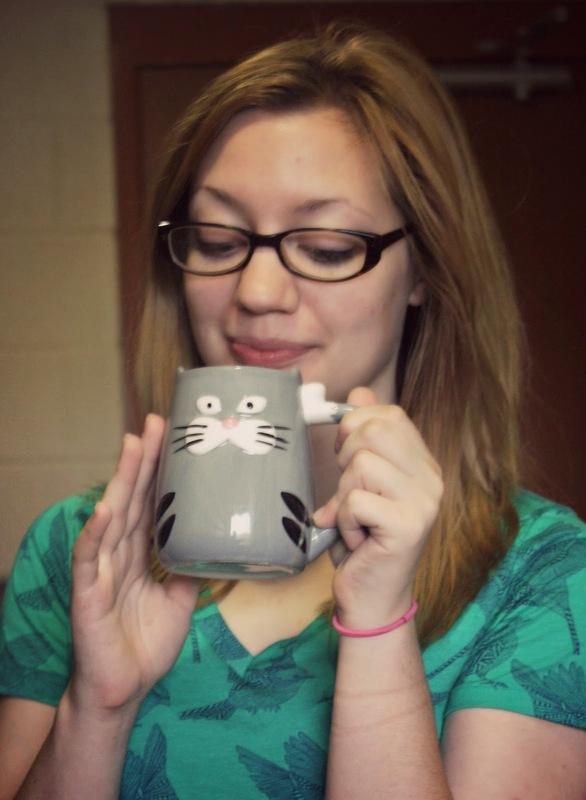 Make sure to watch the mug because the quiche will grow out of the mug. If this happens, just open the door to the microwave, allow the quiche to fall back into the cup and finish cooking. The great thing about this recipe is that you can be flexible with the mix ins. You can add in what you want or have on hand. I enjoy my quiche with avocado and zucchini. 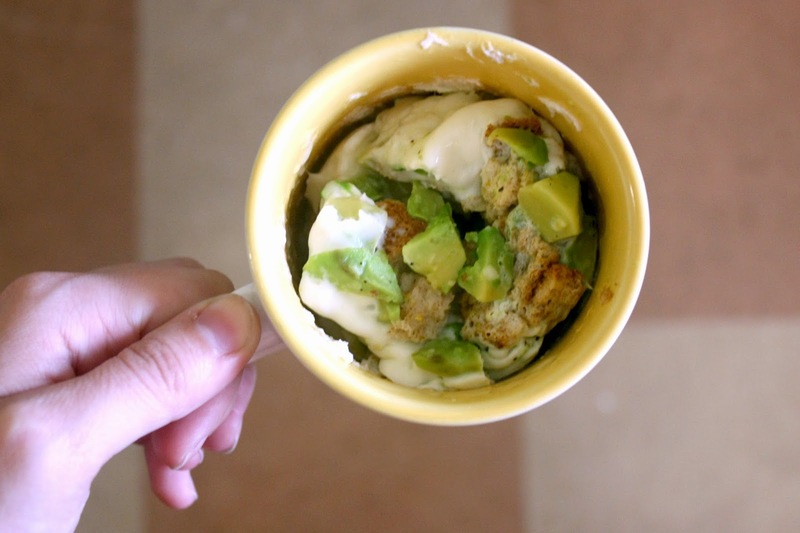 Have you ever made a microwaveable meal in a mug? I would love to hear your suggestions!